Building on previous alternative studies released in 2012 and 2013, SI uses rigorous quantitative data and in-depth surveys and interviews to explore the broad topics surrounding the continued growth of registered alternative products. Alternatives have grown in appeal because of their potential for differentiated risk-return profiles and diversification benefits. 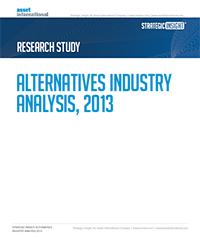 In this report, SI examines and analyzes the evolving world of registered alternatives in comparison to the traditional hedge fund industry, combining data on the liquid alternative and hedge fund industries with proprietary surveys to investors, advisers, and gatekeepers.